What should you do when you’re having a small 4th of July gathering (3 adults, and a child who wouldn’t touch cabbage with a ten foot pole)? Why, make 3 pounds of coleslaw, of course. Actually, I had the foresight to cut this recipe in half, but it still makes a ton. And, frankly, while I prefer a vinegar-based slaw, I don’t think they keep as well. So, serve it to a lot of people and eat it all. With that said, this was a really tasty recipe and I’d definitely make it again. It had great texture and a nice variety of flavors. I opted to use apple cider vinegar instead of white vinegar, which is a little more subtle in flavor. Not too vinegar-y. The onions gave it a nice little kick, too. 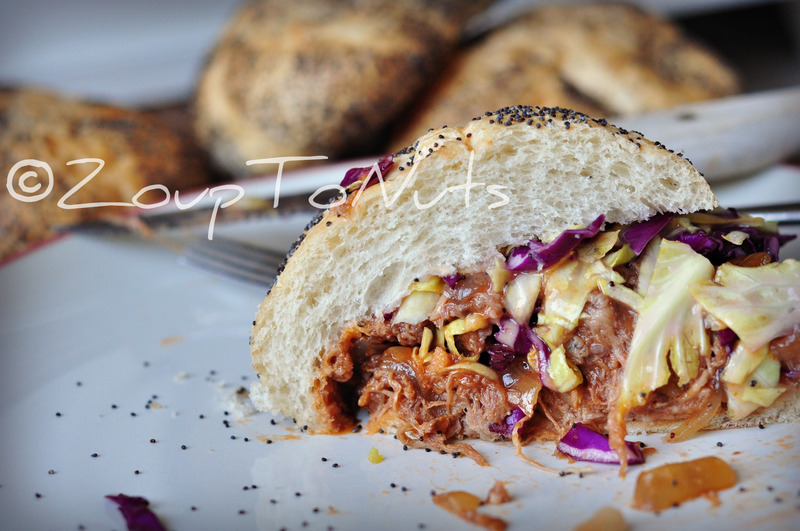 I served it as a side dish, but this would be great on pulled pork or shredded beef sandwiches, as well. Easy-peasy! Enjoy!! 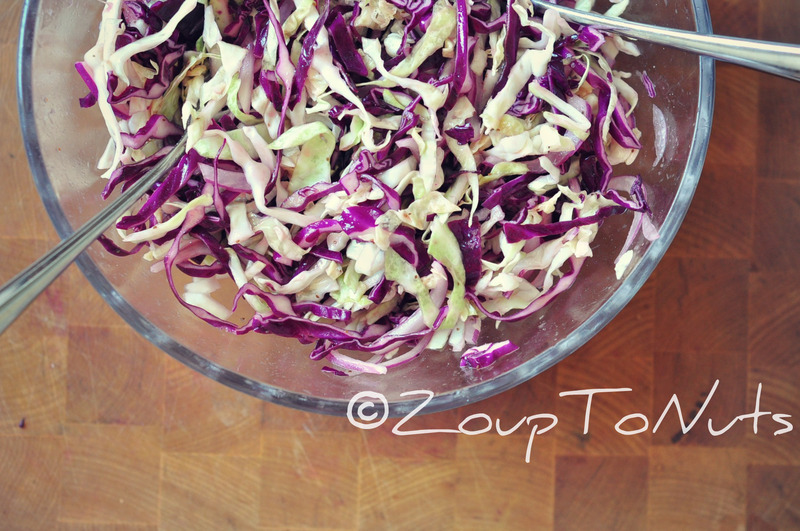 In a large bowl toss the green cabbage, red cabbage, and red onion until mixed. Set aside. In a small saucepan combine the vinegar, honey, and oil. Bring to a boil over medium-high heat. Remove from the heat and stir in the salt, dry mustard, and the celery seed. Pour the dressing over the cabbage. Toss to combine. Refrigerate and serve chilled. I’m not a huge fan of coleslaw drenched in mayonnaise, preferring something a little lighter with a vinegar base. 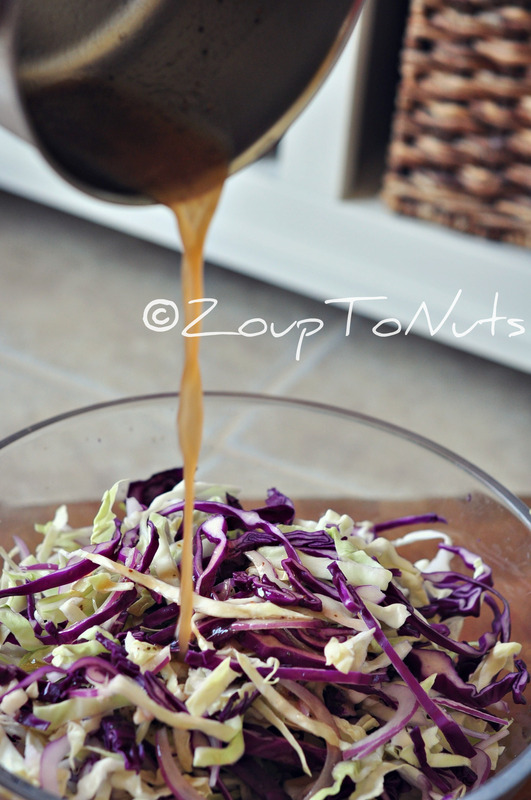 Throw in some Granny Smith apple slices and I believe that might be the perfect slaw. 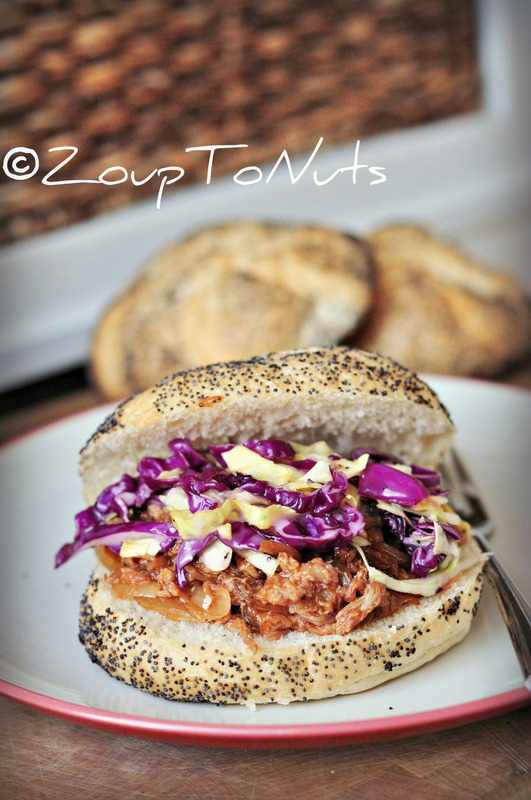 But uber-healthy coleslaw just doesn’t fit the bill when it comes to pulled pork or shredded beef sandwiches. You really need something more traditional – roadside diner-ish traditional. Honestly, there are hundreds of good slaw recipes out there, so it’s not that hard to find something to please everyone. But my husband thought this one was The. Best. Ever. It’s the perfect combination of sweet and tangy, with slightly fewer calories and fat because it uses Miracle Whip as a base rather than mayo. If you use the “Light” option, you can trim a few more calories and fat grams from the finished product. 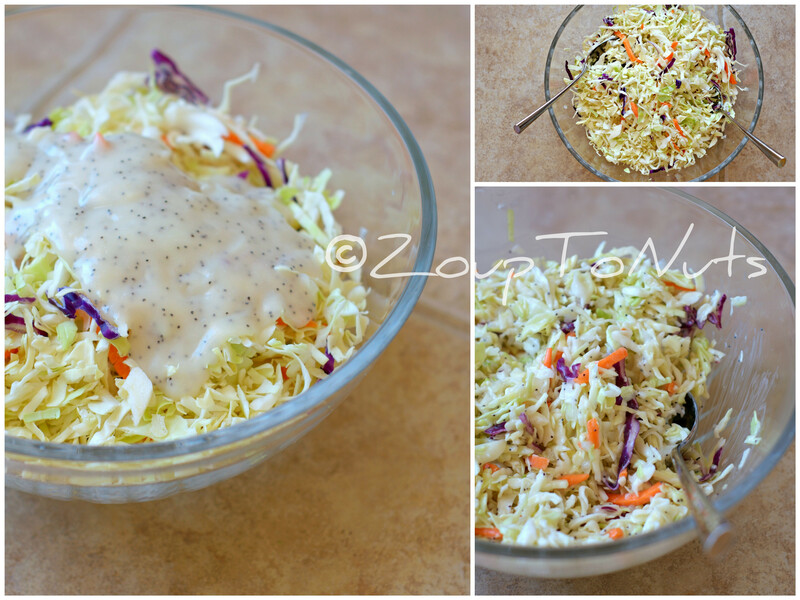 And, even though I’m a true-blue healthy coleslaw lover, sometimes you just gotta live a little. 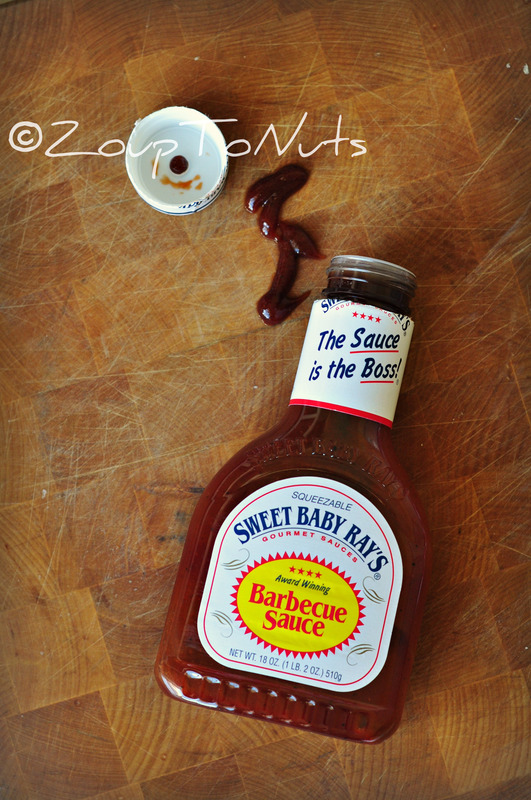 We use this on hot dogs, brats, pulled pork, and most recently the slow-cooker shredded beef. While it’s a great topping, it’s perfect for a summer picnic side dish, as well. Enjoy! Coleslaw is a classic summer side, and one I don’t care much for when served in the typical drippy, heavy, mayonnaise-y way. I liked this recipe for a number of reasons: low cal, no fat, lots of flavor! 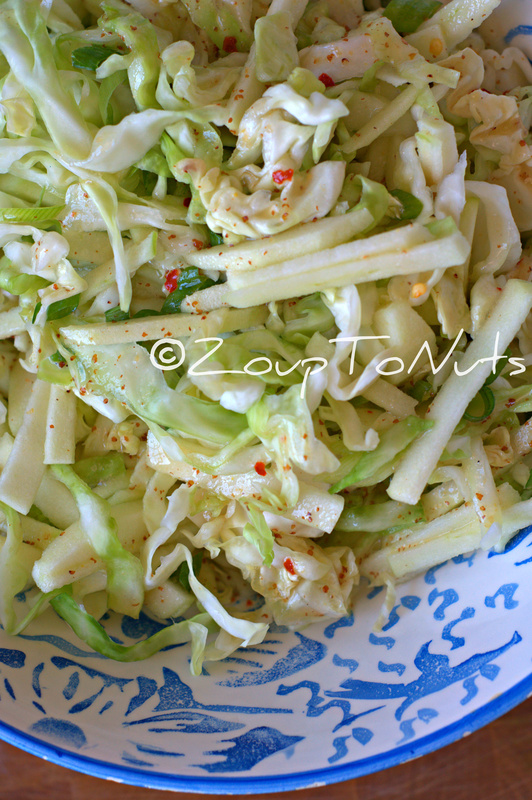 The crunch the cabbage lost in the salting was gained back by the addition of crisp, tart Granny Smith apple slices. The cider vinegar adds a nice sweet, pungent flavor and, of course, some complimentary heat from the crushed red pepper. There are so many great flavors going on in this recipe it should please even the most ardent mayo fan. It might even make a convert out of them. Note, however, like most dressed salads, this doesn’t keep well. Eat within a day or two, at most. Enjoy! Toss the cabbage with the salt in a colander and let sit until wilted, about 1 hour. Rinse the cabbage under cold water, drain, and pat dry thoroughly with paper towels. 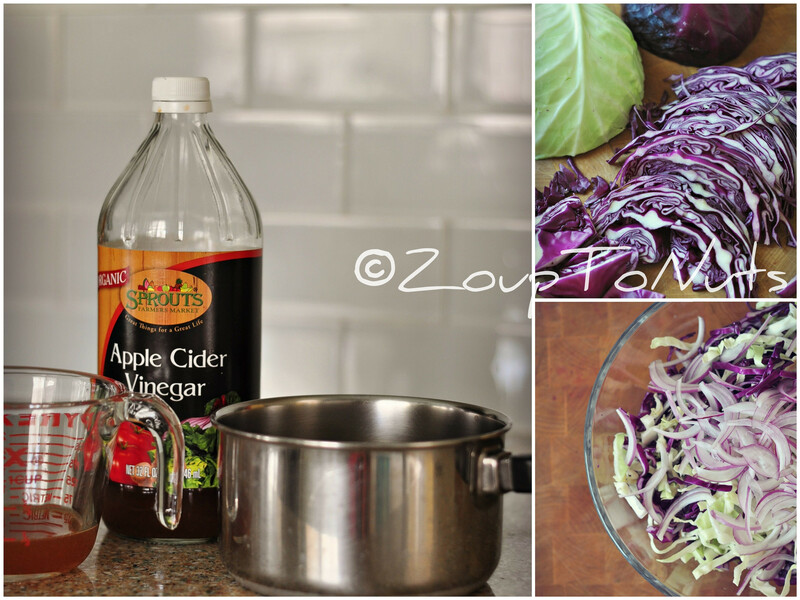 Toss the dried cabbage, apples, and scallions together in a large bowl to combine. Bring the vinegar, oil, honey, mustard, and red pepper flakes to a boil in a saucepan over medium heat. 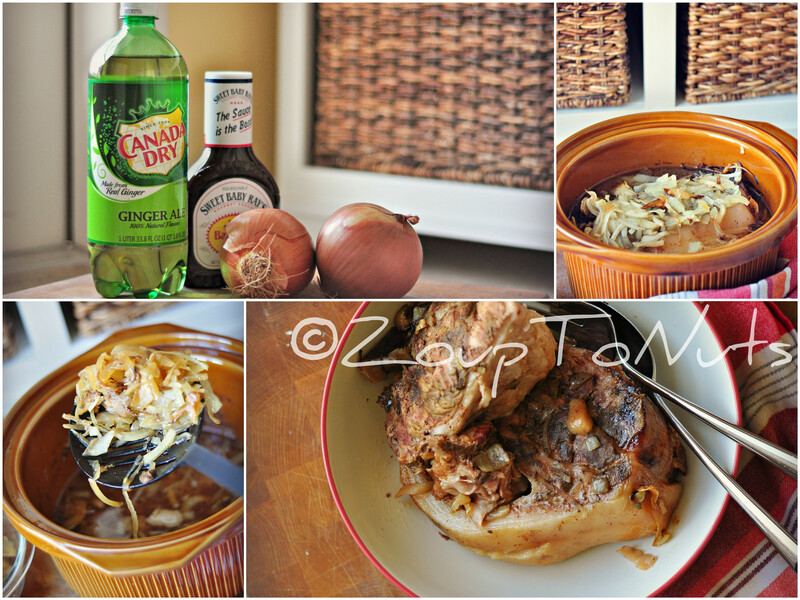 Pour the warm dressing over the cabbage mixture and toss to coat. Cover and refrigerate until the flavors have blended, about 1 hour.